Un messaggio della dr. Laurie Marker dal CCF! As every time a year is about to end, I can’t help but reflect on the urgency of our work to save Africa’s most endangered cat. Every year that passes is precious time when it comes to cheetah survival. Here at CCF, much has been accomplished in 2012, but there is much more that still needs to be done, and we cannot do it without your help. In just a few days, our opportunity to double all donations will end. We are still US$20,000 short of reaching our goal of US$450,000. Please consider making a donation by 31 December so that we can meet our End of Year goal, and most importantly, that our programmes can grow and ensure that the cheetah does not become one more entry in a growing list of extinct species. CCF’s Okakarara Ambassadors and Research Assistant Stephanie Cunningham have joined me in this year-end video that I hope you will enjoy. Lei ha una possibilità….grazie a te. Is this email not displaying correctly? [~ViewInBrowser~]click here[~EndViewInBrowser~] to view in a browser. Il ghepardo affronta tanti rischi cercando di sopravvivere in natura. Uno dei rischi maggiori è costituito dagli esseri umani. Ci sono persone che quando guardano un ghepardo non vedono una creatura magnifica le cui caratteristiche sono fatte per velocità e grazia. Queste persone vedono solo una minaccia per il proprio bestiame. Nel Cheetah Conservation Fund, quando un allevatore ci chiama per chiedere di ritirare un ghepardo catturato nel suo terreno, non sappiamo mai che cosa ci troveremo di fronte. Questa femmina di ghepardo è stata liberata con tre altre femmine da una gabbia. È possibile che sia stata in quelle condizioni per più di un mese, ha le zampe talmente danneggiate, che le è stato amputato un dito. Un’altra femmina non è sopravvissuta. Grazie al vostro sostegno al CCF, la storia non finisce qui. Le quattro gheparde sono stata trasportate alla clinica del CCF. Sono state esaminate, e le ferite curate. Questa femmina di ghepardo (soprannominata in seguito “Senza un dito” ) è stata curata anche dal dentista. Il 15 dicembre, le quattro femmine di ghepardo sono state rilasciate in natura. Un ghepardo in libertà non ha la garanzia di sopravvivere. Ma con l’aiuto del CCF, e con il vostro generoso contributo al nostro impegno, possiamo dare al ghepardo un’opportunità in più. Il nostro lavoro non consiste solo nel salvare i ghepardi catturati in gabbia, ma nell’educare gli allevatori a convivere a fianco dei predatori in primo luogo, senza intrappolarli o ucciderli con armi da fuoco. Con il vostro sostegno ai programmi educativi, il CCF raggiunge migliaia di allevatori in Namibia e oltre, insegnando le tecniche di allevamento che non solo tutelano i predatori come il ghepardo, ma aiutano l’allevatore ad ottenere rendimenti migliori nel suo allevamento. Non possiamo fare tutto ciò senza il vostro aiuto. E proprio ora, un gruppo di donatori speciali offre di raddoppiare la cifra donata fino a 225.000$ US da qui al 31 dicembre. Ciò significa che ogni dollaro che darete entro la fine di quest’anno ci porterà avanti del doppio, e con velocità doppia nella corsa per salvare il ghepardo. Mentre l’anno volge alla conclusione, dobbiamo raccogliere piu’ di 80.000$ per raggiungere il nostro obbiettivo. Donate oggi al CCF, e generosamente, perchè noi posssiamo continuare ad educare gli allevatori per assicurare sopravvivenza e prosperità al ghepardo in natura, là dove è il suo posto. 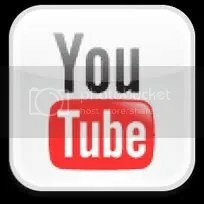 Follow us on Facebook, Twitter, You Tube and our blog! Arrivati dall’allevatore, abbiamo trovato queste femmine di ghepardo ingabbiate nella trappola. Il personale della clinica del CCF effettua un esame completo e approfondito del ghepardo, per valutarne lo stato di salute e curare le ferite. Ecco le tre femmine di ghepardo in condizioni ottimali per essere rilasciate in natura. Le casse da trasporto preparate per il rilascio delle femmine di ghepardo nel Bellebenno Camp. [~ListUnsubscribe~]Click here[~EndListUnsubscribe~] to modify/update your subscription. I am writing to you today to encourage you to give generously to CCF. Right now, a group of special donors has provided a challenge grant that will match your contribution dollar for dollar, meaning we can go farther and faster in our race to save the cheetah. 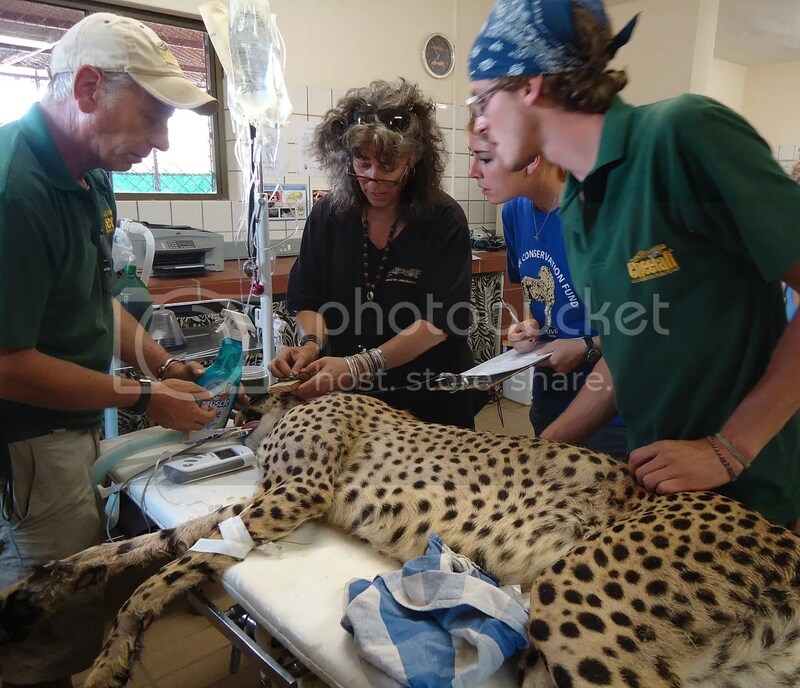 Each time I see the efforts of Laurie and her team, I’m so impressed with their dedication, and with the fact that CCF’s conservation efforts encompass all aspects of the cheetah’s ecosystem, including humans. When Dr. Marker asked me to be part of CCF as a U.S. Trustee. I was proud to be given the opportunity to honor her passion and commitment to the cheetah by making my own commitment to CCF. The cheetah is one of the world’s iconic animals — it has fascinated us for thousands of years. And without your help, it might very well disappear from our planet. There are fewer than 10,000 cheetahs left in the wild, and they are still under threat from habitat loss and human-wildlife conflict. 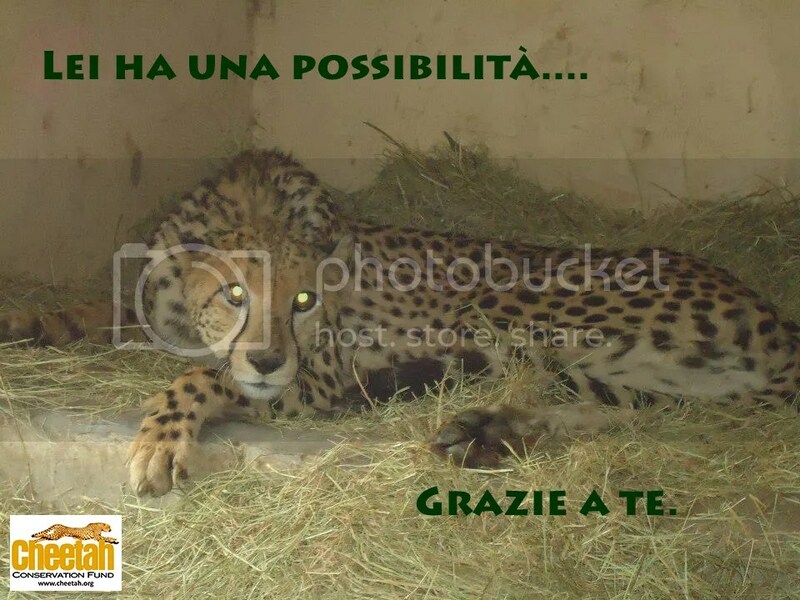 Your donation is vital if we want to have even a hope of saving the cheetah. CCF’s range of programming, which includes its highly successful Livestock Guarding Dog program, the award-winning Bushblok project, and a continued dedication to scientific research, needs your support to continue to make a difference for the cheetah. Please donate today to CCF’s End of Year campaign. Your commitment will be doubled. The race to save the cheetah is on. With your help, we can win it. P.S. If you’ve already given as part of CCF’s End of Year campaign, thank you! Please consider sharing this message with your friends and family. Khayam was the cheetah I brought with me when I made one of my first trips to Namibia in 1977. My original goal in bringing her to Africa was to see if it was possible for a cheetah like Khayam to be released into the wild, even though she had lived all her life in captivity. When Khayam and I got to Namibia, I quickly learned that the most urgent need for cheetahs was very different from what we’d supposed. 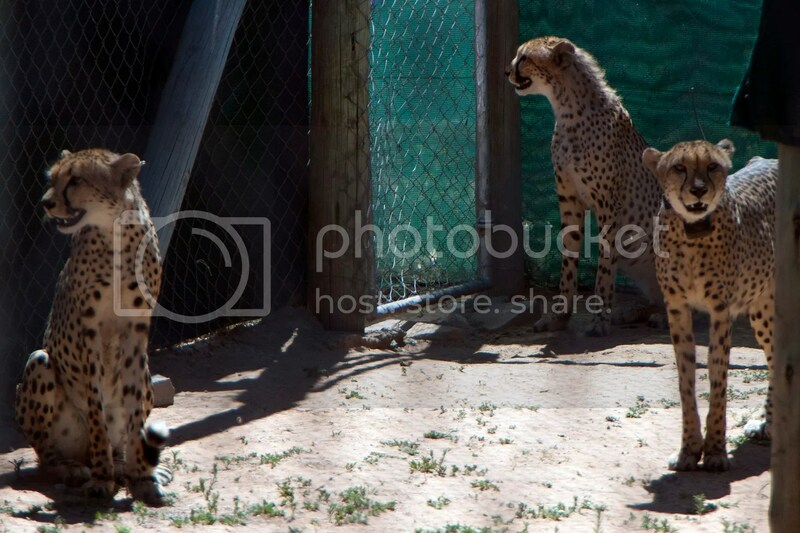 Namibian farmers, fearing for their small livestock herds, regarded the cheetah as a threat to their livelihood. Cheetahs were considered vermin, pests that should be shot on sight. The goal became to work with farmers to find a way to stop the killing, to help them see that cheetahs can live side-by-side with humans, in a way that both may thrive. December 4th was Khayam’s birthday, and last year, in part to honor her participation in our efforts to save the cheetah, we at Cheetah Conservation Fund (CCF) declared December 4th to be International Cheetah Day. The cheetah is not only the fastest, but the oldest of all the big cats. It has survived over three million years of glaciations and warming periods, and its own lack of genetic variation. Despite its tenacity, cheetahs could be gone forever in less than 20 years, largely due to human conflict and habitat destruction. The disappearance of the cheetah from our planet would be felt not only in the ecosystems of which the cheetah is an intrinsic part, but also in our hearts. When a species becomes extinct, we all lose. International Cheetah Day is a celebration of the magnificence of the cheetah. (Really, is there anything more awe-inspiring than watching a cheetah sprint across the grasslands, every muscle of its body a perfect expression of speed and grace?) It is also an opportunity to take action. 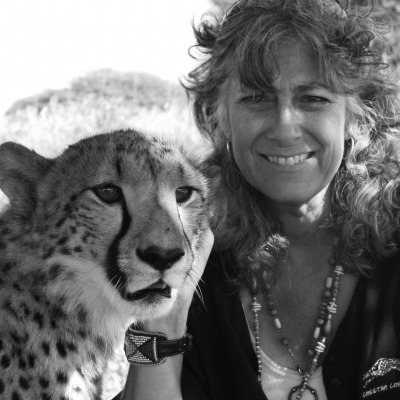 I took action in 1990, when I founded the Cheetah Conservation Fund. At CCF we developed non-lethal predator control methods like our Livestock Guarding Dog program, which has placed over 400 Anatolian shepherd and Kangal dogs with local Namibian farmers, reducing the predation rates on the flocks they guard by over 80 percent. 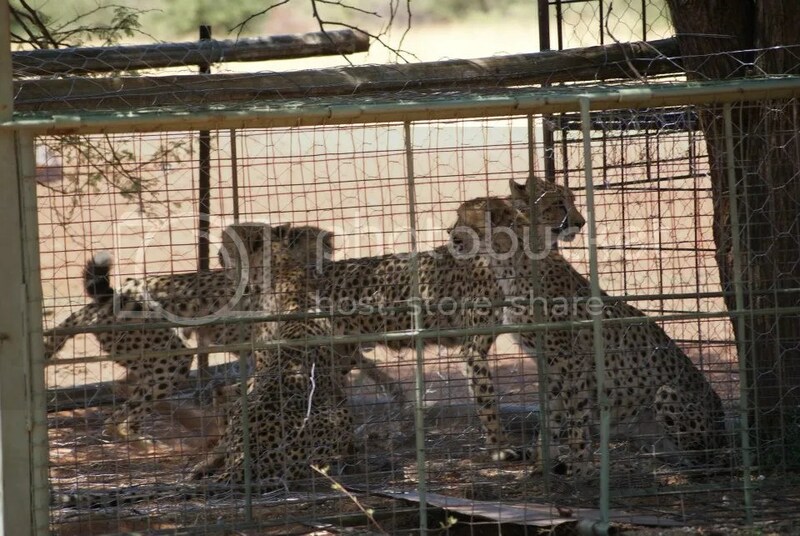 Farmers are learning that they have alternatives to shooting cheetahs. Because of our efforts, Namibia’s population of cheetahs is actually increasing. But we’re not stopping there. We’re teaching farmers best practices for integrated livestock and wildlife management through our Future Farmers of Africa program. Our Bushblok program has been utilizing the biomass material created by harvesting the thornbush that encroaches on valuable habitat lands to create an award winning fuel log. We’ve been pursuing these initiatives in the spirit of social entrepreneurship, understanding that we can achieve more success with wildlife conservation efforts when we can demonstrate that they are not incompatible with human livelihoods. Through platforms like the Clinton Global Initiative and the Skoll World Forum, we’re expanding our programs and extending the reach of our conservation methods to include cheetah range countries beyond Namibia. And we’re optimistic that Hillary Clinton’s recent announcement that the United States will treat illegal wildlife trafficking as a national security issue may finally put an end to the illegal pet trade that kills so many cheetah cubs and breeding females in the wild every year; an issue that we have been involved with since 2005. So what can YOU do to save the cheetah on International Cheetah Day? One important thing you can do is learn more about the cheetah and its plight. Visit our website. Sign up to get our email newsletters. Like our Facebook page. Follow us on Twitter. Khayam and I discovered on our first visit to Namibia that the first step to solving a problem is to learn everything you can about it. And once you learn, act. This year, CCF is offering several ways for the public to stand up for the cheetah on December 4th. We’ve partnered with the Elephant Bar restaurant chain, who’s agreed to give 20 percent of participating sales to CCF. Print out this flyer, enjoy a meal at one of Elephant Bar’s locations, and present the flyer to your server to be part of this effort. The money raised goes to support our efforts around the globe to save the cheetah. We’re also hosting a number of house parties around the country, where attendees can join other CCF supporters and watch my recent appearance on Richard Wiese’s “Born to Explore” to learn more about the cheetah and what CCF is doing to help the it win its race for survival. To find a house party near you, email us at info@cheetah.org. If you can’t get to a house party or to an Elephant Bar, please consider making a donation, perhaps in honor of a loved one this holiday season. My hope is that International Cheetah Day inspires you not just to act, but to encourage others to act, too. I hope that you’re inspired to act not just on December 4th, but on all the days that follow. The cheetah’s days are numbered — unless we all act now to save it. WEB Calendar 2013 to download for free! Our Friends Gianni and Debora from African-Path are supporting our efforts and have donated T-shirts for the cheetahs of CCF, they have been traveling to Strasbourg last October to meet dr. laurie Marker; now they offer a free Web Calendar 2013, asking to donate to the Cheetah Conservation Fund. We are very grateful to Gianni and Debora, and hopefully many people will download it, and…donate! Do not forget the Cheetahs! SEPTEMBER 24, 2102 (New York, NY) — As its commitment to the 2012 Clinton Global Initiative (CGI) Annual Meeting, Cheetah Conservation Fund (CCF), announces they will increase their efforts to tackle bush encroachment in Namibia and to develop a biomass industry, thereby protecting the bush/veld ecosystem, creating jobs, and providing clean, renewable energy. When completed, CCF’s commitment will yield over 600 metric tons of biomass fuel per month, employ dozens of Namibians, and restore nearly 1400 acres of habitat to productive use. CCF’s Bushblok business was developed a decade ago when Dr. Laurie Marker, CCF’s Founder and Executive Director, discovered that bush encroachment was injuring cheetahs and significantly reducing available productive rangeland and farmland. With the help of a USAID grant, CCF developed sustainable methods of selectively harvesting the bush, and processed it into an award-winning low-emission, high heat fuel log called Bushblok. Bushblok won the Intel Tech Award for the Environment in 2008. CCF believes that developing biomass fuel opportunities in Namibia can address several critical issues. First, it restores valuable acreage that has been lost to bush encroachment, rendering it fit for use again as productive livestock farming land, and incidentally as rangeland for cheetahs and their prey. One 2008 study estimated that the problems of bush encroachment cost the Namibian economy over $700 million Namibian dollars ( ̴$100 million USD) a year. Additionally, CCF hopes by its efforts to encourage wider use of biomass energy. Biomass energy has the potential to provide a clean, renewable resource for electric generation. Namibia’s electric utility, NamPower, is estimating a power generation deficit of over 150 Megawatts by the end of 2013, with most of its power being supplied by aging coal-fired plants. With tens of millions of hectares of thornbush available for harvest, which could potentially provide over 100 million tons of fuel, Namibia could easily meet its current and future generation needs by developing the proper capacity. Such an effort would also generate hundreds of jobs, which, in a country with an estimated 50% unemployment rate, is no small matter. To realize its commitment, CCF will be seeking corporations and individuals who can provide investment funding, expertise, or other resources toward the development and implementation of best-practices and strategies for bush harvest and processing as part of an emerging biomass fuel industry in Namibia.CCF’s goal is to restore the habitat of the bushland, increase available grazing lands and stimulate the biomass industry in Namibia. The biomass industry will eventually create hundreds of entry-level jobs, which are desperately needed in Namibia. Even more compelling is the fact that the factors in play in Namibia that make biomass energy such an opportunity are not unique in Africa. Solutions developed by CCF in Namibia can be exported to other sub-Saharan African countries with similar issues. Cheetah Conservation Fund (CCF) is the global leader in research and conservation of cheetahs. It is a USA 501c3 with field headquarters in Namibia. CCF is dedicated to saving the cheetah in the wild. CCF believes that understanding the cheetah’s biology, ecology, and interactions with people is essential to conserve the cheetah in the wild. The strategy is a three-pronged process of research, conservation and education, beginning with long- term studies to understand and monitor the factors affecting the cheetah’s survival. Results are used to develop conservation policies and programs. CCF works with local, national and international communities to raise awareness, communicate, and educate. Learn more about CCF at http://www.cheetah.org, follow us on Twitter: @ccfusa, or like us on Facebook at Facebook/CCFcheetah. The Clinton Global Initiative (CGI), established in 2005 by President Bill Clinton, convenes global leaders to create and implement innovative solutions to the world’s most pressing challenges. CGI Annual Meetings have brought together more than 150 heads of state, 20 Nobel Prize laureates, and hundreds of leading CEOs, heads of foundations and NGOs, major philanthropists, and members of the media. To date CGI members have made more than 2,100 commitments, which are already improving the lives of nearly 400 million people in more than 180 countries. When fully funded and implemented, these commitments will be valued at $69.2 billion.